Now closed, the Alpha Bingo Club opened in March of 1961 at the former Dominion Cinema in Walthamstow, a suburb of London. 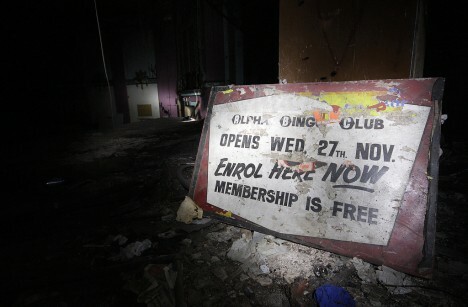 Kudos to urban explorer and Flickr user Adam Slater (slaterspeed) for photo-documenting the deteriorated state of the now-abandoned bingo hall in April of 2010. Sometimes simple says it all, and in the field of photography that means black & white. 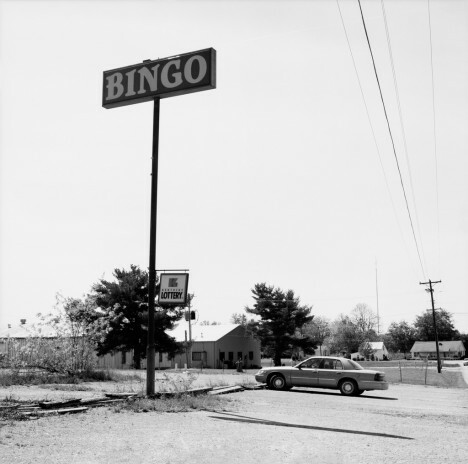 Flickr user Ian Vecchiotti uses the medium to best advantage in the photo above, which captures the lost and lonely essence of an abandoned bingo casino sign in Franklin, Kentucky. Vecchiotti’s image is dated May 15th, 2012, and leaves us wondering whose car is that and why is it parked there, among other things. The juxtaposition between the overwhelming atmosphere of hopelessness and the mocking presence of a small Kentucky Lottery sign gives the image an added dash of pathos, as if any was needed. 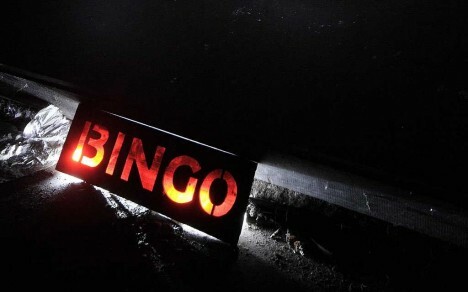 Those who’ve dabbled in bingo more than a few times know their way around a dabber – those special sponge-tipped markers used to “dab” a called bingo number. 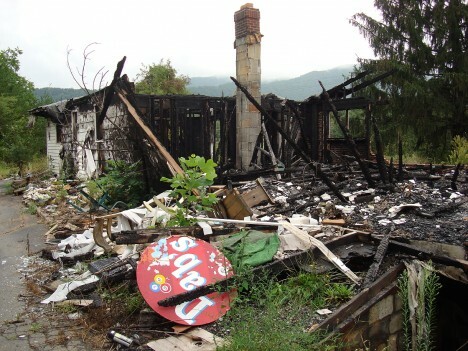 This explains how Dabs, a bingo hall formerly sited along US70 near Swannanoa, North Carolina got its name. 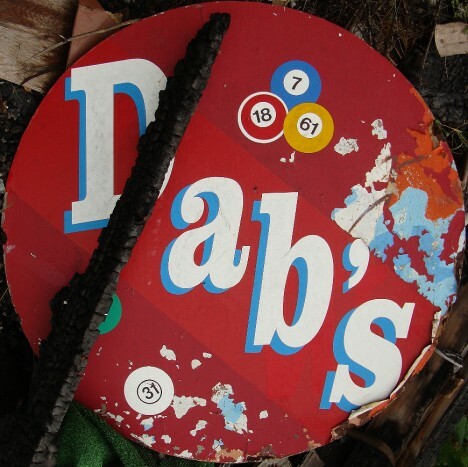 Pity the local firefighters didn’t arrive in time to do more than dab at Dabs’ charred remnants after a devastating fire destroyed the venue in August of 2007. 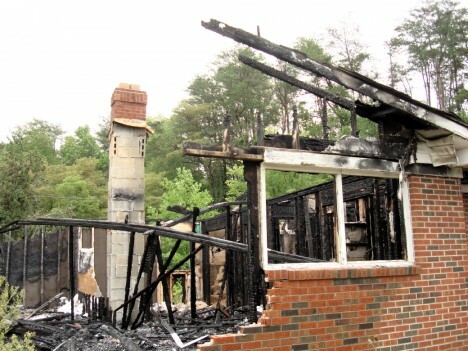 Flickr user zen Sutherland (zen) shot the charred aftermath shown above. 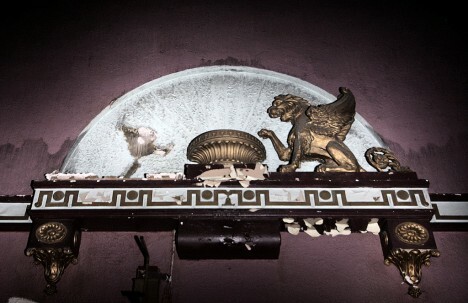 The Ritz is an abandoned former movie theater and bingo hall located in Penzance, Cornwall, UK. 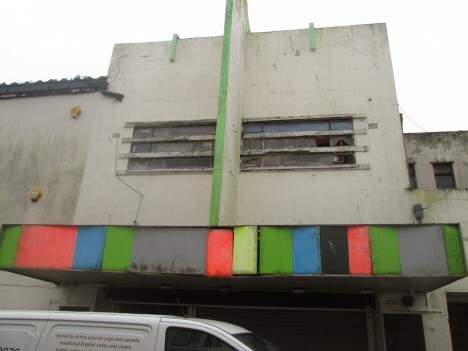 Though it exudes the deteriorating vibe of abandonment in spades, the irregular blocks of bright color on The Ritz’s crumbling facade hint at a happier time when a night at the bingo hall was everything Penzance’s population could hope for. Kudos to Flickr user rustdreamer for preserving this unique relic of British bingo history.